When I first started planning our trip to Vancouver, moreover North Vancouver, no particular sights or attractions were on my mind. Knowing that you want to visit a place is not the same as having a detailed guide (with plan “B”, “C”, and even “D” in case something goes wrong). As usual in such cases, I eagerly stared at MacBook screen gathering and structuring everything that came my way about this coastal, seaport city in British Columbia. It literally took one click on the Google search sign to completely grab my attention. Little did I know that North Vancouver was such a gem! Surprisingly, Google doesn’t even scratch the surface of the things you can do there. Some of the most beautiful and interesting places are left for the mercy of being discovered with help of locals or by accident, like it was in our case. About a week ago, I would give a lot to have a complete guide of North Vancouver. Today, however, I am happy to share it with you and, hopefully, inspire your own adventures. 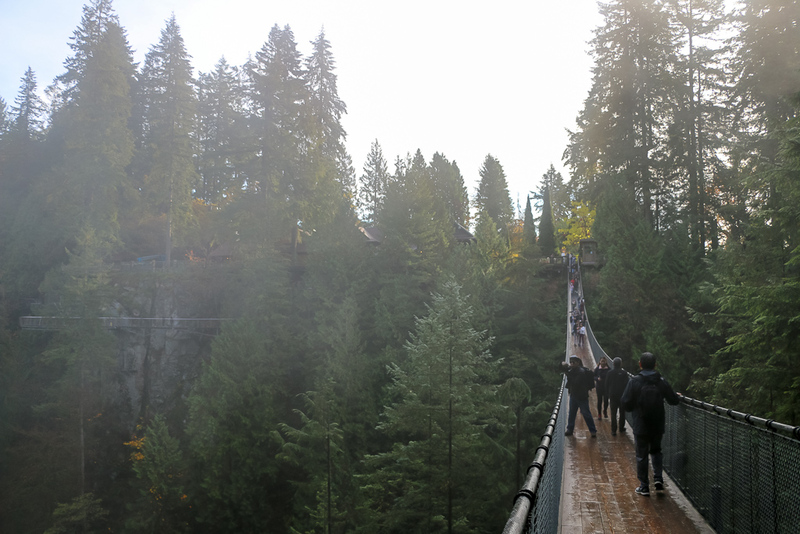 Capilano Suspension Bridge makes your adrenaline pump and heart beat faster. Hundreds of thousands of visitors from all over the world come here in pursuit of a once-in-a-life time adventure on a swinging bridge. And frankly, they find everything they search for. 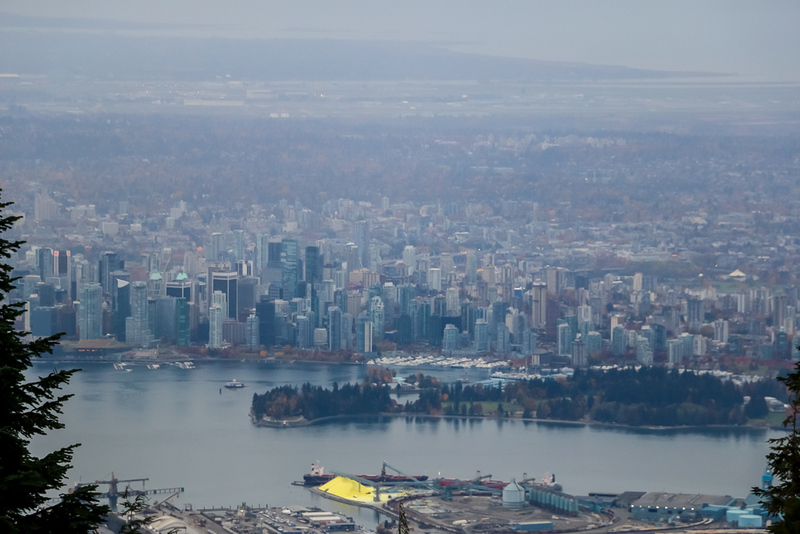 The most famous North Vancouver’s sight is indeed a remarkable place that ought to be visited and revisited over and over again. If you are like me, a picture of a wobbly, narrow footbridge running between two giant cliffs visualizes in your mind. Colossal fir trees surround the area, making the flimsy structure above powerful river appear even smaller and more insecure. Oh, how familiar are these images, along with the feelings of excitement, fearfulness, and nervousness! Stop right where you are, close your eyes, and breath. You need just a few seconds to dismiss all these “internal naysayers” and move toward the opposite side. If you plan to spend more time on the bridge to enjoy the views and take good Instagram pictures, make sure to get there early in the morning. By 10am the place usually becomes very crowded and it gets busier and busier as the day passes by. Isn’t it something that you want to escape especially on a weekend promising more than one adventure? The Famous Capilano Suspension Bridge is a place that one should visit at least once in a lifetime. Lynn Canyon Park is located mere 15 minutes drive down Trans-Canada Highway from the Capilano Suspension Bridge. You couldn’t ask for a better place to spend a weekend. Free and full of activities for all ages and preferences, the park is an absolute hit among locals and visitors. Serenity and gorgeous surroundings allures the young and elderly nature lovers alike. 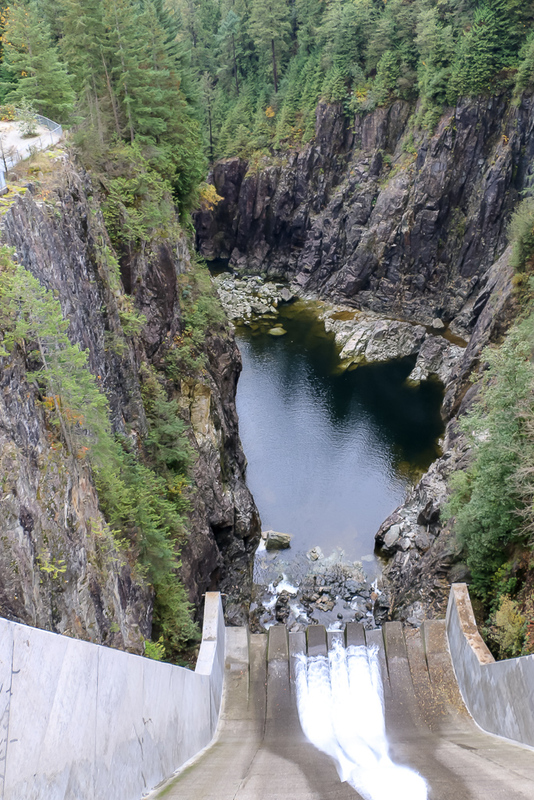 Numerous short hiking trails take the sport-inclining guests to stunning vistas including Twin Fall, one of the most magnificent waterfalls in North Vancouver. How about cooling down in a 30 Food Pool swimming hole surrounded by dense vegetation and massive rocks? All these activities are great, but the most popular attraction in the Lynn Canyon Park is its own suspension bridge, which takes us straight to the third destination on our guide to North Vancouver. Although an essential park of the Lynn Canyon Park, the Lynn Canyon Suspension Bridge deserves a special attention and space on our list of places to visit in the northern part of Vancouver. Significantly shorter, this river crossing is a free alternative to the famous and pricey Capilano Suspension Bridge. Yes, it is much smaller and lacks many great features of the most popular attraction in Vancouver. But one thing you can’t take away from the Lynn Canyon Suspension Bridge. Less popular, it is more immune to the big crowds, characteristic for the Capilano Bridge. You can surely spend a few hours or the whole weekend day here without being disturbed by hustle and bustle of the noisy tourists. There is no place like the Peak of Vancouver. Grouse Maintain is a popular destination any day of the week and any season. Through middle or late spring to late fall the numerous visitors enjoy hiking, outdoor adventures, wildlife refuge with grizzly bears sitting so close to iron net that you instantly want to step back. The most favorite time of the year though is winter with its exiting snow sports. Whatever season you choose for a visit of Ground Maintain, it always remains a great spot for the weekend activities. Almost two-miles hiking trail, Grouse Grind entices a good portion of the locals and enough visitors of North Vancouver to get a reputation of a pretty intense pathway. 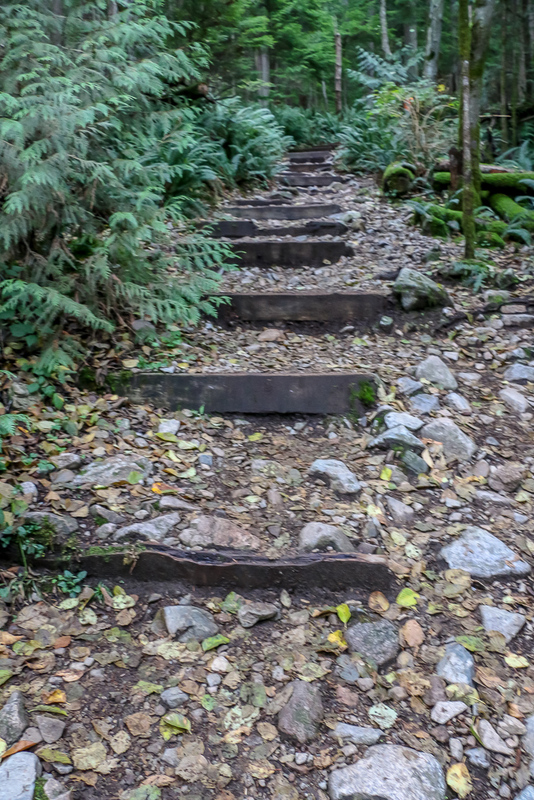 Also known as “Mother Nature’s Stairmaster, this hiking trail selects its winners from the very beginning. A few steps up the cruel stairs help you adequately assess your physical activity level and continue the hike or give it another shot when you are more prepared for such ascent. Not one of the popular Google choices, Capilano River Regional Park is an absolute must for a quiet weekend getaway. 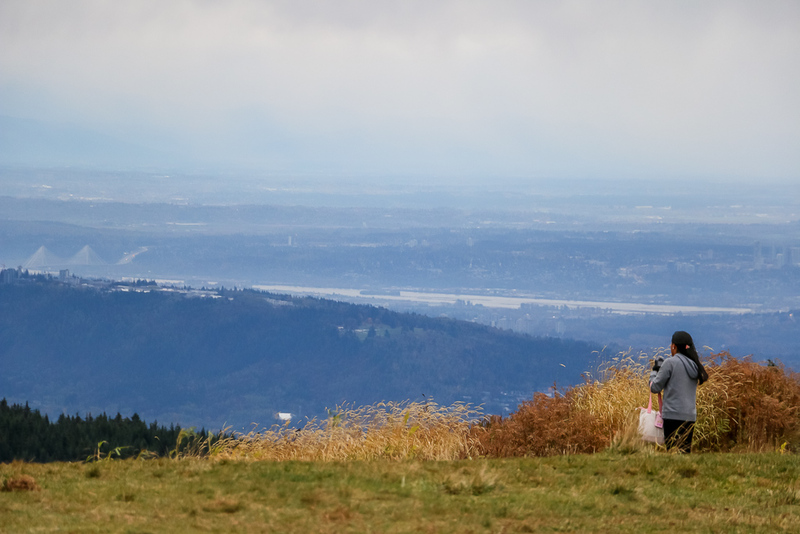 Families with kids, couples, dog walkers, or anybody looking for tranquility will find plenty of things to do in this part of North Vancouver with gorgeous lake and epic mountains in the background. 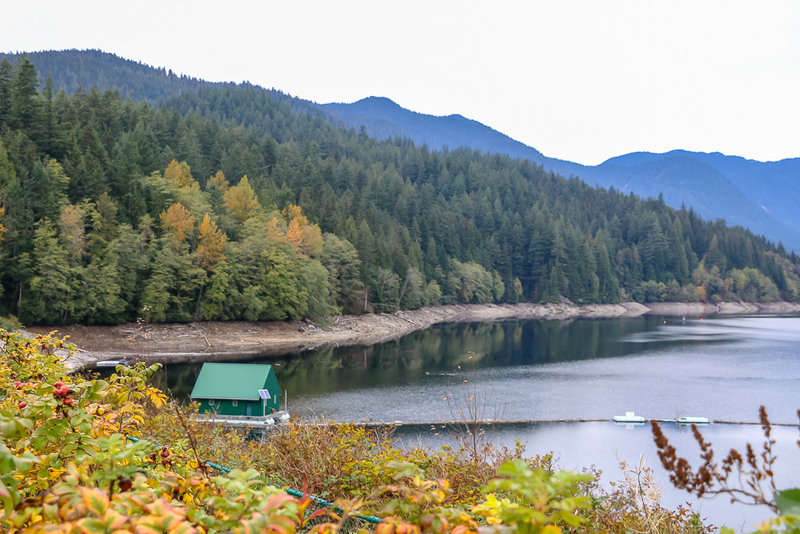 Cleveland Dam is a concrete Dam in the Capilano River Regional Park. Like with any other dam, you won’t have anything else to do rather than to enjoy the vistas. And let me tell you, the views are awe striking! The strong pressure of water running from a small hole in the dam smoothly flows into a river. Tall trees like reliable guards closely surround the stream. Go gorgeous! Take a moment to appreciate the sound of the water and beauty around you on this weekend day. Definitely not a part of the District of North Vancouver, Lion’s Gate Bridge makes the visit to all the places discussed earlier possible. 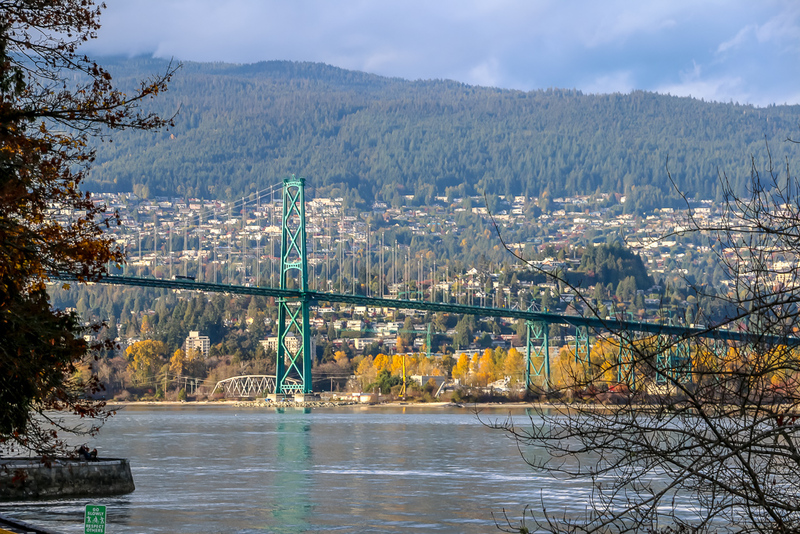 An iconic symbol of Vancouver is a suspension bridge connecting the City of Vancouver with its northern region. If not for its signature emerald-green color, for a second you might confuse it with Golden Gate Bridge, the world-famous attraction in San Francisco. This completes our North Vancouver itinerary. I hope this virtual guide inspired you to plan your own journey to British Columbia in not so distant future. Even a weekend getaway will make you fall in love with this place and create some excellent memories.